Does your real estate marketing ideas have less impact on your customers? No worries, we`ve got you covered! RD Training Systems marketing experts have made through analysis to understand – what works and what doesn’t in the world of modern marketing. From the most comprehensive source of real estate, RD Training Systems organized top 5 real estate marketing ideas. Read on and discover the marketing ideas used by the world’s most successful agency. For suggestions on implementing these ideas to boost your real estate business, listen to the complete podcast below. A lot of real estate agents throw away potential commissions from past clients. They spend most of their time chasing top-of-funnel, rather than making efforts to maintain contact with past client. Remember, past clients can be a great source of business, but most agents don’t give them the attention they deserve. Make sure that you’re one of the agents who do. An attractive real estate website like RD Training Systems have – can highly influence the experience of the client. Therefore, it fuels real estate marketing efforts of an agent. Not just any website fuels real estate agent efforts. The best real estate websites act as digital storefronts, showcasing subject matter and expertise. When a potential client visits your real estate website, they should immediately recognize what it is that you offer. One of the best ways to generate more real estate business these days – Building a unique brand identity. With umpteen real estate trainer out there offering essentially the same services, setting yourself apart will help capture potential clients’ attention. Consider building your brand around something that makes your services stand out. In order to build a real estate brand, consistency is an essential practice. Avoid trying to take on five or six brand-building activities at once. As an alternative, you can build your brand consistent with one or two activities that you’re great at. If you create great real estate videos, for instance, make that your primary brand-building activity. Some digital marketing strategy like content and videos also stand on the list of effective marketing approach. However, it requires some significant effort. While dedicating time to this marketing method, make sure it pays off. The practice involves value with each and every marketing material you offer. When creating content for local sellers, for instance, include information on listing prices in their area in order to capture and retain their attention. For more real estate marketing ideas and information on today’s best business practices, Visit RD Training Systems website! If you are into real estate listing and selling, chances are good you would benefit from coaching. Even veterans can get you something out of it. For sure, the ideal time to hook up with one – though, is when you are freshly-licensed. In case, you don’t have any idea of your production numbers for the past three years, you don’t have a business plan, you don’t understand your weaknesses and how to overcome them, or you are merely trying to figure out how to raise your production – you need a Real Estate Trainer. A freshly-licensed agent doesn’t incorporate past experience to look back on or to analyze what worked and what didn’t. They simply focus to increase production and set up their business but don’t yet have a working business plan in place, or an idea of what their strengths and weaknesses are. Real estate coaching can help new agents define and reach goals, and teach them basic business skills. A beginner looking to turn real estate from a part-time to a full-fledged business would greatly benefit from the collective knowledge. Even experienced agents can also benefit from a real estate trainer. A lot of times in almost any business when growth seems to plateau and revenue hits a ceiling they can’t seem to break. Rather than believing you’ve reached your potential and can’t go any higher – think again. RD Training Systems include a personal real estate coach who takes an objective look into your business while providing a guidance to improve your business. A coach typically draws not only from their own personal business experience but the collective experience of others they have mentored. Recommended to agents struggling to hit your goals, a real estate coach can help you find new ways to market your business, tips to better nurture your leads, and strategies for closing more deals. As per the report of Inman, it showed that Real Estate Coaching’s Payoff 90% of respondents said their business increased by 10% or more during their first year working with a coach. More than 50% said their business increased more than 25%. One respondent explained that real estate coaches “let me know what others are doing to be successful so I don’t have to reinvent the wheel.” They help me “see things clearly, help me focus, put things into perspective, unbiased second eye,” was another response. No one is a born leader. The best salespeople don’t always make the best managers. It will likely take some guidance to transition from being an independent agent focused on nurturing your own leads to learning how to nurture your agents’ careers and build processes to structure follow-up. A real estate coaching can help you guide on team leadership, and provide insights you may not see in yourself. For example, many real estate coach studies and even receive certifications from leadership coaches. If you sense that you may not be doing the best job leading a team, or are unsure of what you’re doing, a real estate trainer can point you in the right direction. RD Training Systems’ success is built around the quality, expertise and passion of its team members, led by renowned speaker RICHARD KURTZ . RD Training Systems offers you the vision, motivation and tools to take your real estate business to the ultimate level. Mr. Kurtz’s career in real estate training began in 1984. In 1986 he founded RD Training Systems and quickly built the company into the most successful training and seminar promotion company in North America, spearheaded by his Real Estate Productivity Training Symposiums, Seminars and Workshops. In the last 10 years alone he has produced and promoted more than 2,000 seminars across North America. To date he is solely responsible for attracting more than half a million Realtors to his events. 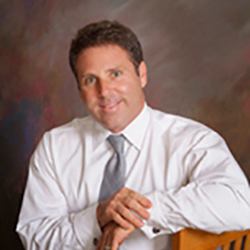 Mr. Kurtz’s credits include promoting and managing self-improvement gurus such as Brian Tracy and Zig Ziglar. In addition, he has been personally responsible for promoting the most legendary speakers in the real estate industry such as Howard Brinton, David Knox, Bill Barrett, Rick DeLuca, Barb Schwarz, Rick Willis, Walter Sanford, Terri Murphy and many others. No one has represented more talent in the real estate industry. Over the course of 26 years, Mr. Kurtz has developed and executed the blueprint for the ultimate sales training and development company, specifically designed for the real estate industry. From the outset, his aim has been to make education, innovation and cutting edge-information available to virtually any agent who thirsts for it. He is also the creator, co-creator and developer of many of the industry’s most successful training products and systems, as well as pioneering the active agent training revolution. His recent accomplishments include past President and Co-Founder of the real estate industry’s first publicly held training company. Mr. Kurtz’s widespread reputation as a pioneer and career-maker in the sales, speaking and seminar industry enabled him to take them from infancy to national-player status in a few short months. Formed in May 1999, Mr. Kurtz successfully established this American Stock Exchange company. By drawing on 26 years of experience as a pioneer and promoter of the industry’s top sales trainers, and an unmatched array of real estate industry contacts, he executed the first-ever exclusive agreement with Dearborn Publishing, the nation’s largest provider of continuing education in the real estate industry. This first and only agreement of its kind provides mandatory real estate continuing education on the Internet. He then spearheaded and executed exclusive agreements for North America’s largest franchise organizations – RE/MAX, Century 21, ERA, Coldwell Banker, Prudential, and GMAC Better Homes & Gardens, to create and support their intranet training platforms. No one has ever reached such significant industry agreements of this kind. In addition, Mr. Kurtz currently serves as a consultant to many of the largest real estate corporations, organizations, and affiliates in North America, assisting them in the development and strategy of their marketing plan, business strategy, and sales tools. He continues to bring audiences revolutionary sales and marketing concepts, equipping Realtors and other sales professionals with the knowledge and insight they will need to thrive in these dramatically changing times. Mr. Kurtz resides in Orange County California with his wife Chris and their children Ricky, Johnny and Scotty. In today’s world money plays a very important role to fulfill your needs. And at the same time number of steps are been followed by different people to increase their wealth. So, if you also looking for some kind of investment plan then RD Training Systems can best assist you. The nature of the area in which you purchase will impact both the sorts of occupants you pull in. And how regularly you confront opportunities. If you purchase in an area close to a college, then your pool of inhabitants will be comprised of understudies. And that you will confront opportunities on a genuinely standard premise. Property charges are not standard no matter how you look at it as a financial specialist wanting to profit from a lease. You need to know about the amount you will be losing to charges. High property duties may not generate an awful thing if the area is an astounding spot for long haul inhabitants. Yet the two don’t really go as one and the town’s evaluation office will have all the expense data on record. Or you can converse with property holders inside the group. According to Your inhabitants may have or be wanting to have kids. So they will require a place close to a tolerable school. When you have discovered a decent property close to a school. You will need to check the nature of the school as this can influence the estimation of your speculation. In the event that the school has a poor notoriety, costs will mirror your property’s estimation inadequately. Nobody needs to live adjacent to a problem area for criminal activity. Go to the police or general society library for precise wrongdoing measurements for different neighborhoods. As opposed to asking the property holder who is planning to pitch the house to you. Things to search for are vandalism rates, genuine wrongdoings, frivolous violations and late action. You may likewise need to get some information about the recurrence of police nearness in your neighborhood. Areas with developing business openings have a tendency to pull in more individuals. Meaning more occupants. In the event that you see a declaration for another real organization moving to the zone, you can rest guaranteed that specialists will rush to the range. Be that as it may, this may cause house costs to respond contingent upon the organization moving in. The fallback point here is that in the event that you might want the new enterprise in your patio, your leaseholder’s likely will as well. The city arranging office will have data on all the new advancement that is coming. In the event that there are numerous new condominiums, business parks or shopping centers going up in your general vicinity, it is presumably a decent development range. The extra apartment suites and new lodging could likewise give rivalry to your tenants, so know about that probability. Insurance is another cost that you should subtract from your profits, so it regards know exactly the amount you should convey. On the off chance that a territory is inclined to seismic tremors or flooding. As paying for the additional protection can consume your rental wage. By following RD Training Systems, you can find the best assistance on setting your investment plan in a profitable manner. Since real estate is the most popular investment scheme for investors to make their investments more effectively. With the recent property markets have experienced some turbulence, the seasoned entrepreneur appreciates that this is a risk worth taking, especially when your asset provides an invaluable service to the society. According to RD Training Systems, Whether you invest in a second home or rent your property, you should have a control of your investment. Usually, not possible in the case of the stock market. It is no wonder that real estate the strongest investment option, as it offers lucrative advantages of the constant stream of cash, tax benefits, and provide a hedge against inflation. These days, scammers have riddled the Real estate market. Be cautious, when you are looking for real estate sale in any market. Many investors lost their money due to the rush to buy property without carrying out due diligence. Avoiding diligence is one of the biggest mistake real estate investors make. In order to avoid such pitfall, below are some common real estate investor mistakes that many of them made, especially novices. By effectively learning about them, you can make the right move and buy property that guarantees the highest ROI. This is the greatest blunder which you can`t afford to make as a potential real estate investor. As included in RD Training Systems, don’t throw your money into real estate unless you have enough knowledge about a particular property market. Take time and research about market trends, reasons the owner is selling, permit and ordinance issues, prices, recent sales, and expected ROI among other things. This is another common real estate mistake which buyers usually make. They find the internet a huge library of real estate to answers all their queries. You should appreciate that a real estate agent has the expertise and resources to make the real estate transaction seamless. Real estate experts incorporate years of expertise. Their expertise is valuable in finding better asset options. Undoubtedly, real estate is an excellent investment, but if you are opting with the hope of recouping your money instantly, you are on the wrong track. RD training systems guide to take a real estate purchase, as a business that requires a lot of input and not just the capital. Real estate is a viciously competitive market, especially when some lucrative assets are involved. Sometimes you see a good property and lose out because you have not been pre-approved. With a pre-approval, you know the property you can afford and puts you in a vantage position in the negotiations. To become foreclosures has become a hot cake in real estate. Shouldn’t you also hop onto the bandwagon and buy one? Well, you should always make real estate decisions based on what you need to do after the purchase. The costs associated with few types of properties can drain you before you make a single coin. By avoiding these real estate mistakes shared by RD Training Systems, you will be well positioned to make the best investment decision.